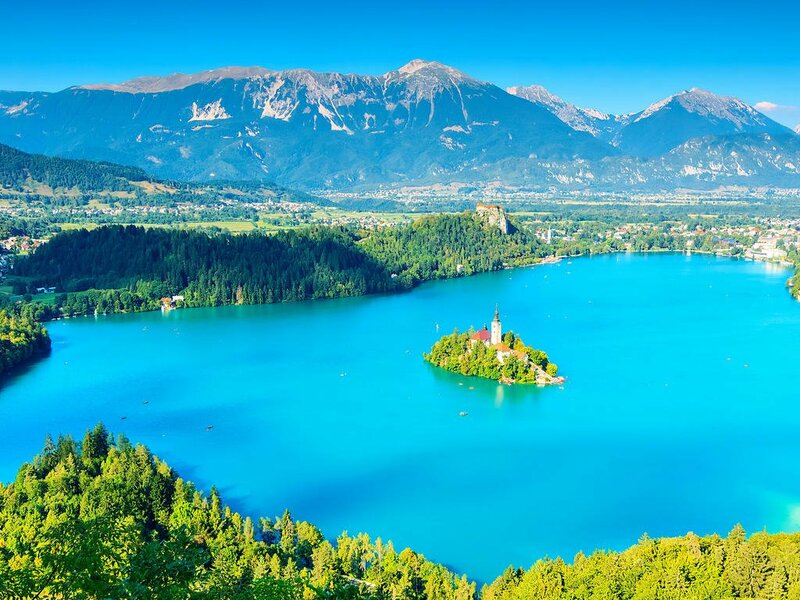 Appropriately dubbed ‘Europe in Miniature’, the tiny central European country of Slovenia offers dramatic snow capped alps, exquisite Mediterranean coastline, striking emerald-green lakes and rivers, historic churches, and medieval castles that look like they’re straight from a fairy-tale. 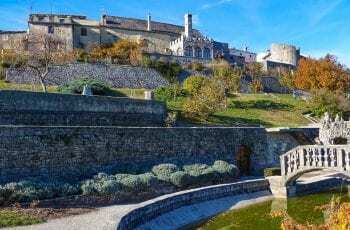 Travellers seeking some exhilarating outdoor adventure in this natural wonderland will be spoiled for choice with plenty of skiing, cycling, hiking, canyoning, rafting, ballooning, caving and boating on offer. 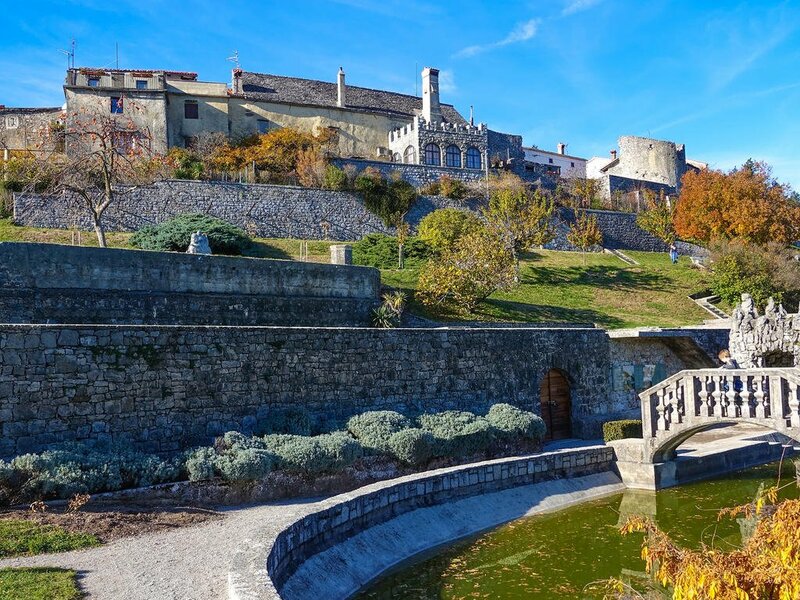 If all this sounds like a bit too much activity for your liking you can escape to the coast to sunbathe on the beaches overlooking the Adriatic or head to the capital of Ljubljana where you can cafe hop along the river bank and explore countless museums. Electrical sockets in Slovenia are one of the two European standard electrical socket types: The “Type C” Europlug and the “Type E” and “Type F” Schuko. If your appliance’s plug doesn’t match the shape of these sockets, you will need a travel plug adapter in order to plug in. Electrical sockets in Slovenia usually supply electricity at between 220 and 240 volts AC. If you’re plugging in an appliance that was built for 220-240 volt electrical input, or an appliance that is compatible with multiple voltages, then an adapter is all you need. If your appliance is not compatible with 220-240 volt electrical output, a voltage converter will be necessary. Electrical sockets in Slovenia are one of the two European standard electrical socket types: The “Type C” Europlug and the “Type E” and “Type F” Schuko…. CurrencyEuro (EUR; symbol €) = 100 cents. Notes are in denominations of €500, 200, 100, 50, 20, 10 and 5. Coins are in denominations of €2 and 1, and 50, 20, 10, 5, 2 and 1 cents.There are no restrictions on the import or export of local or foreign currency. However, amounts exceeding €10,000 or equivalent must be declared if travelling from or to a country outside the European Union.BankingBanking hours: Monday-Fri 08h30-12h30 and 14h00-17h00; Sat 08h30-11h00/12h00.American Express, Diners, MasterCard and Visa credit cards are accepted at upmarket establishments; elsewhere cash is preferred. Credit cards can be used to get cash advances from banks.Travellers cheques are widely accepted. To avoid additional exchange rate charges, travellers are advised to take traveller’s cheques in Euros, US Dollars or Pounds Sterling.Foreign currencies can be exchanged at banks and some hotels, supermarkets, petrol stations, tourist agencies and exchange bureaux. Mains water is considered safe and drinkable. However, bottled water is available and is advised for the first few weeks of the stay. Milk is pasteurised and dairy products are safe for consumption. 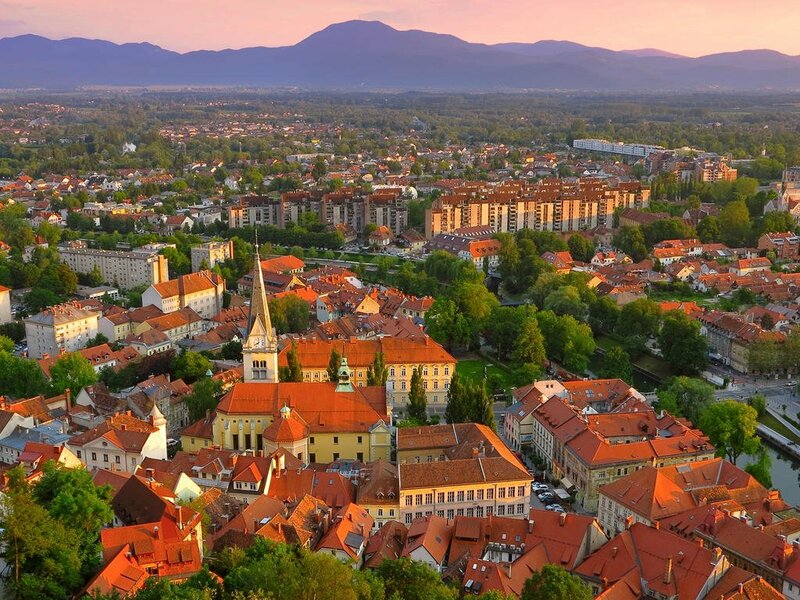 Local meat, poultry, seafood, fruit and vegetables are generally considered safe to eat.Slovenia’s national cuisine consists of simple fresh produce and has been influenced by its neighbours and occupiers, namely Austria, Italy and Hungary. Soup is a typical starter followed by a pork, chicken or turkey dish with seasonal vegetables or salad.Each region has its own special dessert, but pancakes are popular too. As Germany and Austria supply the bulk of tourists in many parts, dishes such as sauerkraut, grilled sausage and apple strudel can befound on most menus too.A 10% tip on the bill is generally expected in city restaurants. 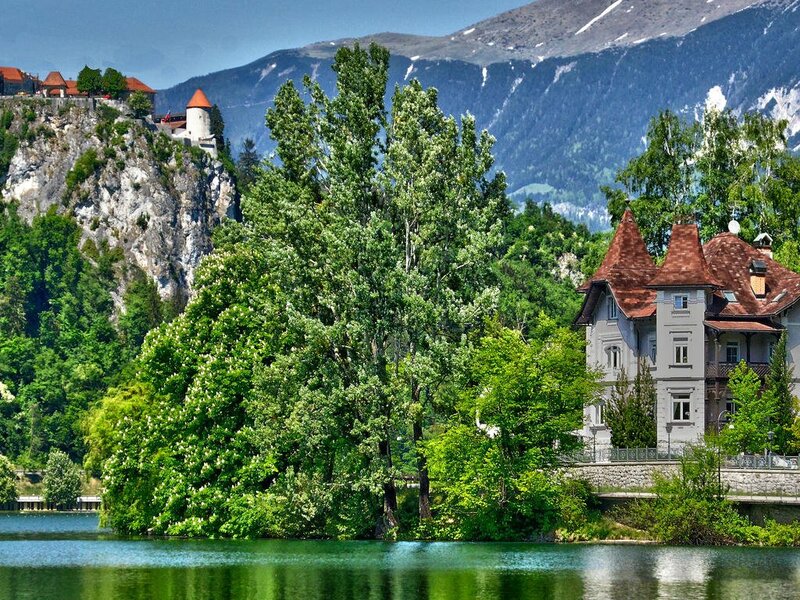 The weather in Slovenia varies from season to season. There are also three climatic influences that meet in the country. 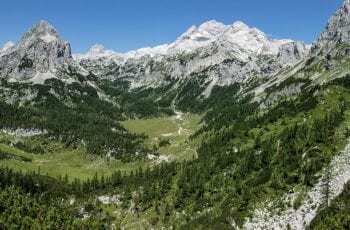 A harsh Alpine climate prevails in the mountains, the coast has a sub-Mediterranean climate, and the north-east lowlands have a continental climate. The average temperature is above 20°C in July, and around 0°C in January. 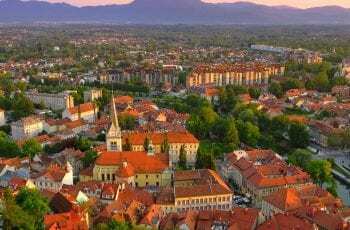 There are no scheduled domestic flights in Slovenia.There are car hire companies, including many international brands, at Ljubljana airport and in the city, but it’s best to reserve a vehicle online before you arrive. Drivers have to be at least 21.Full national driving licences with a photograph are accepted. Non-EU visitors can buy an International Green Card at the border. International car insurance is mandatory.Seat belts are compulsory (including in the back, if provided). Dimmed headlights must be turned on at all times while driving (even during the day). Vignettes (road tax stickers) are required in order to use the motorways and express roads in Slovenia and are available from petrol stations.There are hefty on-the-spot fines if drivers are caught without a vignette, speeding, driving under the influence of alcohol (over 0.05%) or using a handheld mobile phone. Drivers should have a reflective jacket, a warning triangle and a first-aid kit in their cars. Vehicles are driven on the right side of the road.There is a good network of high-quality roads in Slovenia. Many of the motorways have been built since Slovenia joined the EU and are relatively quiet, especially on Sundays when lorries are banned.Taxis are relatively easy to find in the major cities, especially around the train station; in towns, you can usually book them from hotels and restaurants. Taxis are metered.Slovenia takes cycling seriously with its own star system to identify accommodation geared towards pedal pushers. Hotels, hostels and guesthouses in the scheme have their own bikes or can point you towards a rental shop. Tourist information centres (TICs) can also help with bike hire and route maps. 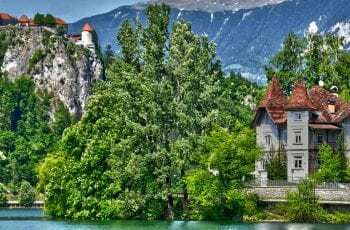 There are marked routes all over the country.Good coach services operate in the cities, major towns and tourist spots, and from Ljubljana airport to the city centre or Lake Bled, otherwise it’s usually easier and quicker to go by car or rail. For bus information contact Avtobusna Postaja (tel: 1991, in Slovenia only or +386 1 234 4600; www.ap-ljubljana.si).It’s easy, safe and probably more interesting to get around Slovenia’s towns and cities by foot, although the buses are quicker and reliable. They are run by Avtobusna Postaja (AP) (tel: 1991, in Slovenia only or +386 1 234 4600; www.ap-ljubljana.si).Ljubljana city buses are operated by the Ljubljanski Potniški Promet (LPP) (tel: 090 7270, in Slovenia only or +386 1 430 5174; www.lpp.si).There are no underground trains or trams in Slovenian towns and cities. 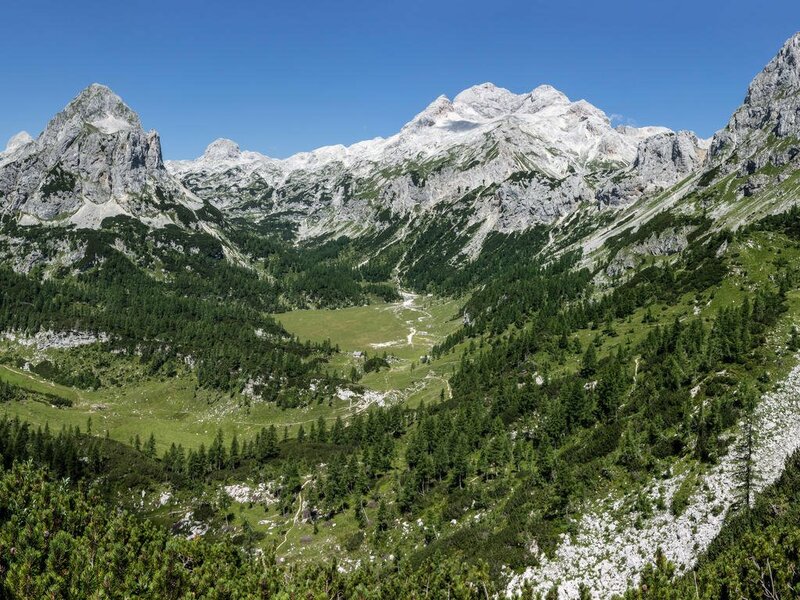 Medium-weight clothing and heavy overcoats in winter; lightweight clothing and raincoats for the summer, particularly for the higher Alpine north.